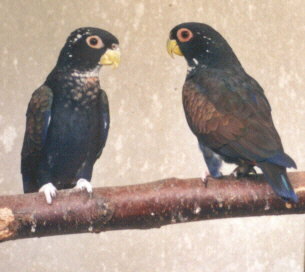 Bronze-winged Pionus are native to the northwest of South America; along the Andes mountain range in Colombia, Ecuador and northwestern Peru. According to Meyer de Schauensee (1952) this species is smaller with a bluer coloration on the abdomen and a less intense bronze-green shade, but many have their doubts about this. Specialist literature does not tell us much about the first reported breeding results. The ‘Meli-Park’ in Adinkerke (Belgium) was the first to successfully breed this species in 1974. 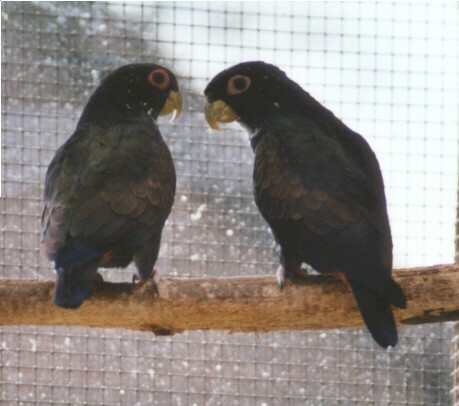 Bronze-winged Pionus are swift flyers and nomadic parrots that in the wild fly enormous distances in search of food. 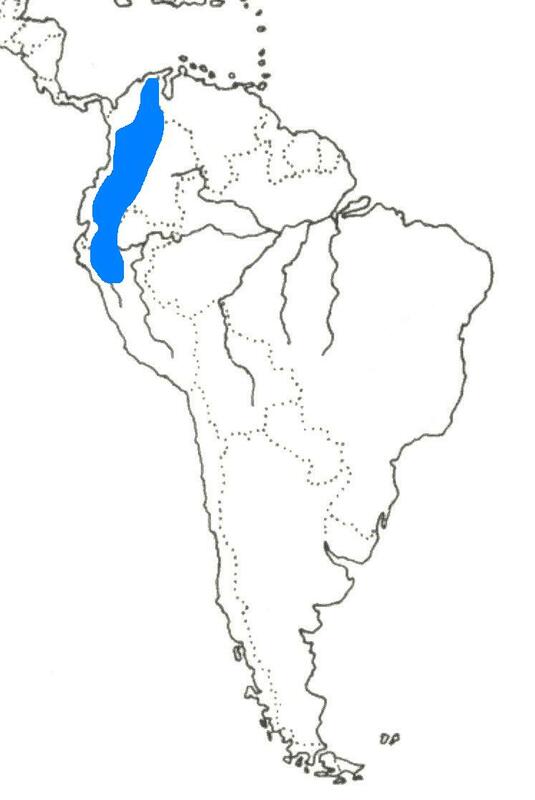 They mainly inhabit tropical forests and Andes slopes. 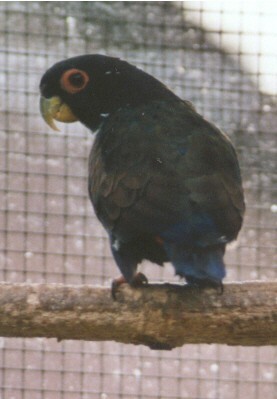 In the aviary they are the most friendly and gentle among the Pionus species. I obtained my first personally bred pair in 1991 and at an age of 2 years the female laid 3 eggs, but all 3 proved to be infertile. In the following years something always went wrong with raising the chicks. A few chicks were hand-raised. The breeding pair were siblings and this probably caused the breeding problems. I now have another breeding pair which is doing great. Watching Bronze-winged Pionus fly is a beautiful sight because of the extraordinarily bright colours beneath their wing feathers. In springtime, both male’s and female’s light orange eye-rings colour a coral shade. Soon they will retreat into their nest box and lay about 3 to 4 eggs. It is striking how during 2 to 3 weeks before the first egg is laid Pionus females never leave their nest. They accept any kind of nest box filled with wood shavings, moulding wood etc. Brooding starts with the first egg and normally takes about 26 to 28 days. The bold chicks squeeze themselves against the nest floor when you inspect the nest box. After about 60 days, the chicks leave the nest. 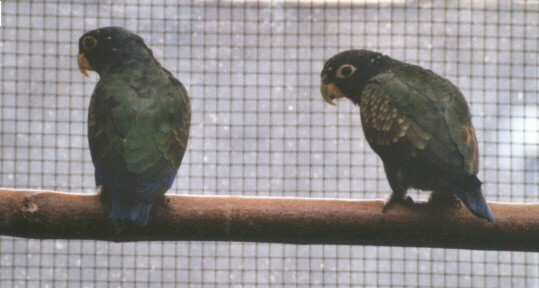 They resemble their parents except for the lighter shade of brown, the green shade on their wings and less prominent blue coloration.